In today’s political climate, you might find your Twitter feed full of political updates 24/7. For some people that’s fine. 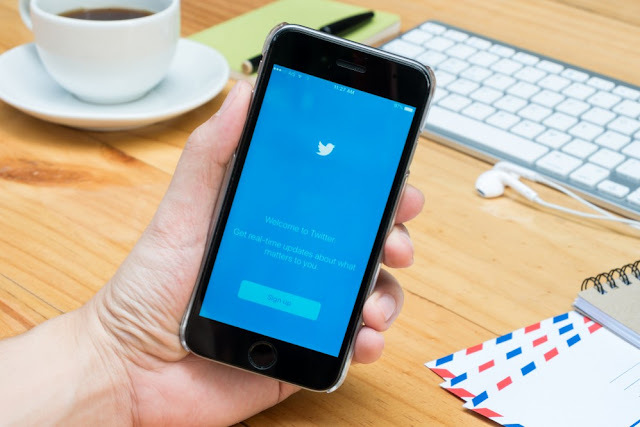 For others, it can feel like an overwhelming amount of Twitter noise preventing them from seeing other updates they’d prefer – like business tips, or cute cat photos. Maybe you want to weed out political updates, at least for a few hours per day such as while you’re working. Or maybe you want to keep an eye on the latest political developments, but you want to make sure you’re getting news from trusted sources instead of random blogs or “fake news” sites posting conspiracy theories. Perhaps you’d just like to separate political updates from “normal” updates so you can check each independently whenever you’d like to. Fortunately, you can do any of those things, and customize your social media experience, with Twitter filters. Twitter lists are a great way to filter people into different categories, and in so doing avoid political tweets or isolate them to be viewed when it’s most convenient for you. As you add more and more people on Twitter it can be difficult to keep up with updates in just your main feed. Twitter lists allow you to group people (even those you don’t follow individually) in any way you please. Each list has its own separate feed, which can be made public or kept private. You can even subscribe to existing public lists others have already set up. • Set up a list for your favourite non-political Twitter users, and check that list when you aren’t in the mood for politics. • Set up a list of major media outlets to get breaking news alerts all in one place from more trusted sources. • Create a Twitter list of your favourite political bloggers or commentators for opinions and insight that might not always be hard news. Some political topics are ever-present while others come and go. Regardless of the event or subject, you can reduce the political noise by muting certain keywords. These words might include the name of a particularly offensive president, a hashtag often used around a particular discussion (especially if it’s a trending topic dominating your feed), and even common political terminology. Sometimes it’s not that you’re tired of a political topic in general, but you’re tired of one particular person’s tweets. You don’t want to block them, but you want to hide their tweets for a limited time. A good example would be if someone you follow is live-tweeting a political rally or event they’re attending. Maybe the tweets are fast and furious and they’re overwhelming, or you’d rather catch up on them later. You can mute this person without unfollowing (there’s no way for them to know). Then you can unmute them after the tweet storm is over. Every now and then someone you know or someone you don’t, will push things too far. Political debate will get so heated that they cross all lines of decency, crossing over to harassment or other forms of abuse. These can be people you follow, but more often than not they’re people who respond to your posts – showing up in your Twitter mentions and notifications rather than your main feed. When muting someone isn’t enough, Twitter also gives you the option to block them. This, like muting, prevents their tweets (including mentions of you) from showing up in your account feeds. If you use TweetDeck for Twitter then there’s another great option for sorting through political noise on Twitter. You can make good use of search filters for columns. You can even set up columns to show or hide keywords on a particular subject. You can do this in your “Home” column for your main feed (or set up multiple “Home” columns with different filters), or you can set up columns to monitor specific terms via search queries. For example, let’s say you like your full Twitter feed most of the time. But you’re tired hearing about a particular politician in the news all the time. In your “Home” column, click the settings icon at the top right corner. Under the “Content” section there you can add their name and Twitter handle to the “Excluding” section. Now any tweets mentioning their name or Twitter account will be filtered from your Twitter feed in that particular column. You can also do the opposite, showing only results with specific names or words by using the “Matching” field instead. You can even decide whether or not retweets should be included. Disabling them can cut down on seeing repeated tweets on the same subject or political news story. Twitter provides a great way to stay updated with friends, communities, news and cultural events. And Twitter filters give you much more control over what you see than you may have realized. Whether you want to fine tune your exposure to political tweets, or you want more control over whose updates you see in general, these Twitter filters can give you the customized social media experience you crave. This post originally appeared on PakWired blog. You can follow @PakWired on Twitter for more social media and business related updates.